On this Bike Pic Sunday, enjoying some Ben & Jerry’s Ice cream along the bike route is the right thing to do. 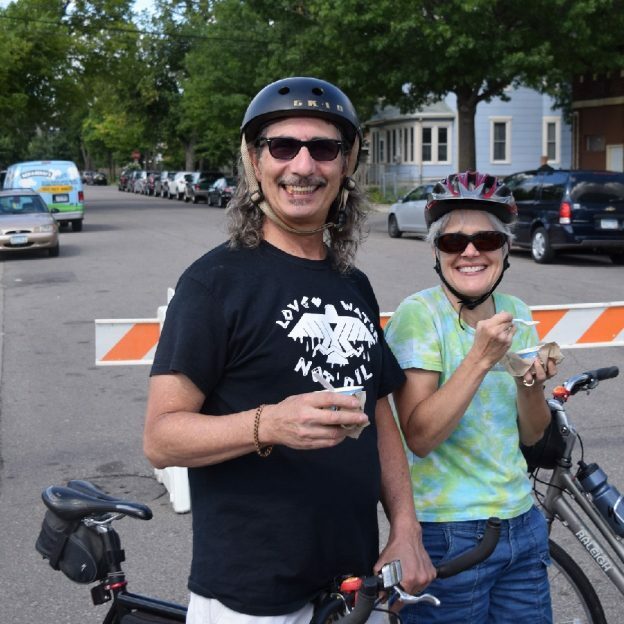 Here these bikers enjoy a cool treat at an Open Streets Minneapolis Event. View the new Minnesota Bike Guide and see all the fun rides still to come this summer. 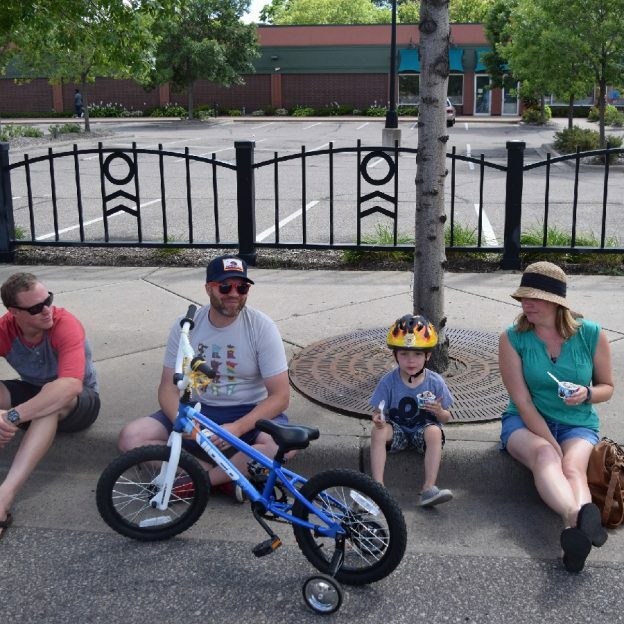 This entry was posted in Picture of the Day and tagged Ben & Jerry's, bike guide, Bike Ride, ice cream, ice cream sandwich, Ice cream smiles, Ice Cream Smiles Sunday, Minnesota Bike Guide, Open Streets Minneapolis, pic of the day, sunday fun day, sunday smiles on July 8, 2018 by Russ Lowthian. With the cold weather upon us, lets do our warm weather happy dances so the Weather Gods bring back that mild winter weather we were having over the holidays. Until then, here’s a cute kid enjoying his ice cream with his family, at an Open Streets Minneapolis event last summer. 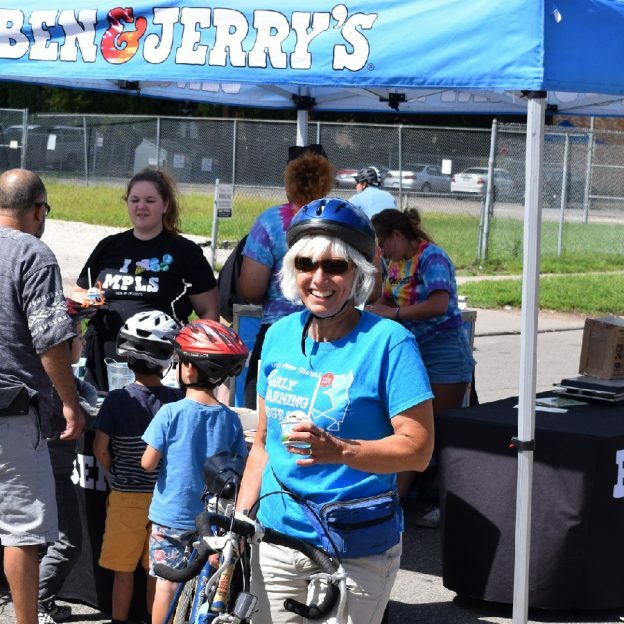 This entry was posted in News, Picture of the Day and tagged #Ben&Jerry's, #icecream, #icecreamofinsta, #icecreamofinstagram, #icecreamsmiles, #moveminneapolis, #nextadventure, #nextbikeadventure, #onlyinMN, #openstreetseastlake, Ben & Jerry's, Bike Guide MN, Ice cream smiles, Minnesota Bike Guide, MN Bike Guide on January 8, 2017 by Stephanie Hunt.